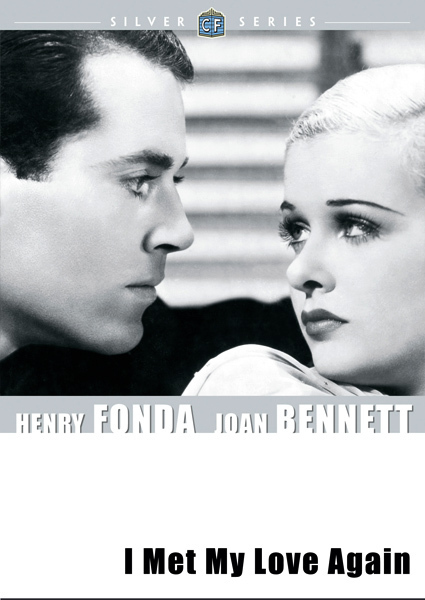 Henry Fonda and Joan Bennett star in I MET MY LOVE AGAIN (1938), a romantic drama recently released on DVD by ClassicFlix. 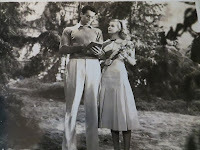 Julie (Bennett) and Ives (Fonda) fall in love as teenagers, and Julie promises to wait for Ives to graduate college and make something of himself before they marry. Two years into their engagement, young Julie is increasingly bored and restless waiting for the rest of her life to begin, and when she meets writer Michael Shaw (Alan Marshal) one rainy night he sweeps her off her feet and they marry. Michael and Julie move to Paris, but Michael turns out to be a no-good drunk who's killed in a preventable shooting accident. Julie attempts to support her daughter (Genee Hall), also named Michael, but she doesn't have a work permit and eventually returns home to her aunt (Dame May Whitty) in the United States. A regretful Julie hopes to rekindle her romance with Ives, who's now a professor, but his mother (Dorothy Stickney) disapproves of Julie and a young student named Brenda (Louise Platt of STAGECOACH) who has a crush on Ives also makes things difficult. 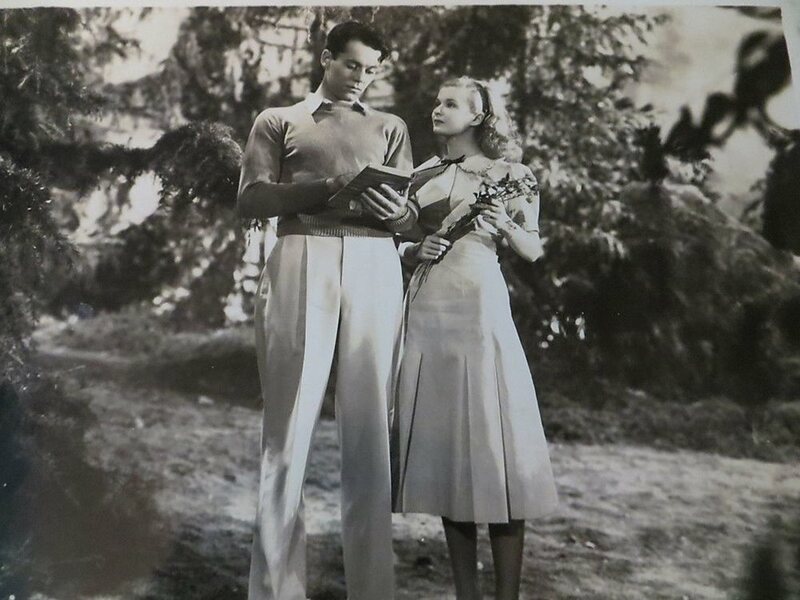 Brenda's infatuation with the professor doesn't sit well with her own admirer, fellow student Budge (Tim Holt). This isn't an especially good film, but it's interesting enough to make it worth seeing; as a particular fan of Bennett and Holt I was very glad to have the opportunity to watch it. Bennett is quite good, especially in the early scene where she confesses her love for Fonda and in a later sequence where her dreams of a rekindled romance seem to be coming true when Ives phones to ask her to a faculty dance. Fonda, on the other hand, is weirdly dazed through most of the film, playing a fairly milquetoast man pushed around by the women in his life -- including Brenda -- and then he periodically snaps to life. 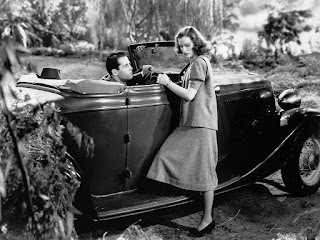 The witchy, determined Platt keeps things lively as wealthy Brenda, though I must say I found the final automobile scene shared by Bennett and Platt over the top and even a bit confusing. I watched it wondering what on earth Bennett was doing! The story in general tends to lurch about in unexpected directions. Holt shines in a warm-hearted role, though his attraction to Platt's Brenda is a bit inexplicable given her character, or lack thereof. Stickney and Hall are each quite annoying as Fonda's mother and Bennett's daughter, but Dame May Whitty is winning as Julie's supportive grandmother. Florence Lake also has a good role as Fonda's sister Carol. All in all, it's a fast-moving 77 minutes which I enjoyed reasonably well despite its flaws. I'm glad that I had the chance to see it in as nice a print as possible thanks to ClassicFlix. 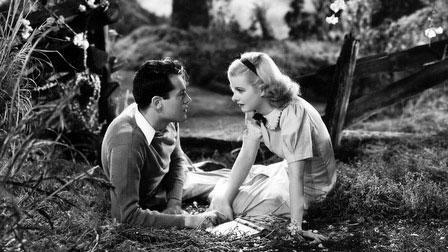 I MET MY LOVE AGAIN was directed by Joshua Logan and Arthur Ripley; IMDb also lists an uncredited George Cukor. It was filmed in black and white by Hal Mohr. David Hertz's screenplay was based on the novel SUMMER LIGHTNING by Allene Corliss. I MET MY LOVE AGAIN was the second release of the ClassicFlix Silver Series line of DVDs. 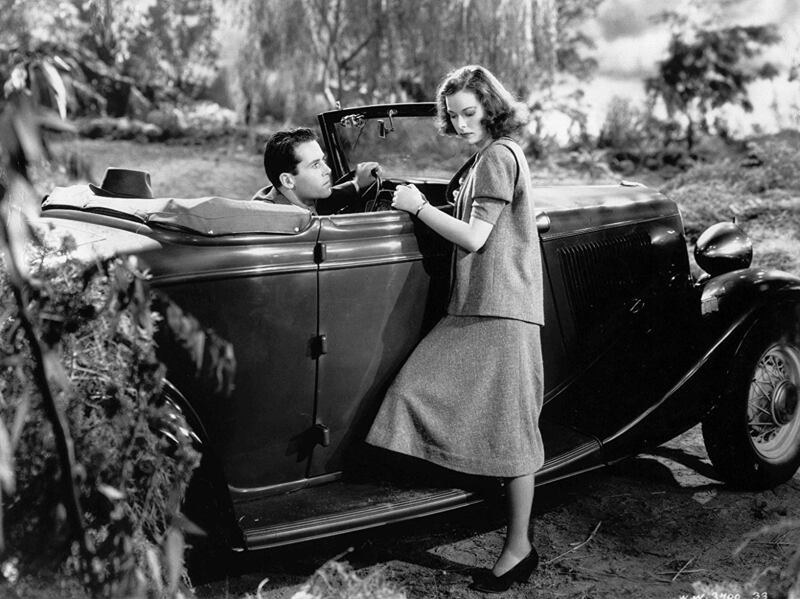 On the DVD case ClassicFlix explains the purpose of the Silver Series: "Knowing so many unseen and longed-for classics sit in studio vaults and other archives collecting dust, ClassicFlix established the Silver Series line to shine the light of day on such lesser-known titles by making them available in affordable DVD editions." The ClassicFlix website also explains that Silver Series DVDs will be initially pressed, but when supplies run low they may then be MOD (manufactured on demand). The print for I MET MY LOVE AGAIN isn't perfect, with lines here and there and a fairly soft picture at times, but it's entirely watchable and without distracting skips or jumps. Based on my past reading and informative cards regarding the print which appear on screen prior to the start of the film, this picture is a good deal better than anything which has been available in the past. I would be quite happy to watch other relatively obscure titles released in the future as part of the Silver Series. There are no extras on the disc. ClassicFlix has posted a trailer on YouTube. Thanks to ClassicFlix for providing a review copy of this DVD. I haven't bought full length movies from Classic Flix BUT I have bought 2 very special disc collections of classic Hal Roach shorts featuring the great Thelma Todd and her partners Zazu Pitts and Patsy Kelly. For many many years I had wished I could finally see all of Patsy's shorts that used the great Laurel & Hardy music backgrounds and finally thanks to Classic Flix this wish finally came true. I thank Classic Flix for recognizing great films of the past that get very little to no attention nowadays. I understand they have also released the great comedy shorts of Charley Chase, this will most certainly be a future buy for me. Thank you Classic Flix and keep up the great work! I agree, Lee, ClassicFlix is doing great work bringing out lesser-known titles. I have a handful of their earlier DVDs which I purchased some months ago and hope to watch this year.